I'm really happy with how this figure turned out. 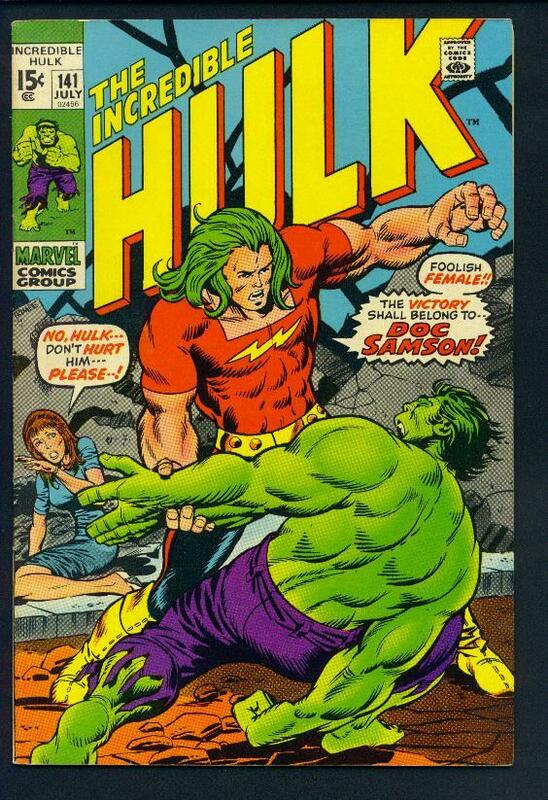 I based him on the cover of Hulk issue 141 (see below). Except I made the lightning bolt bigger in the theme of the Famous Cover series. He is really diverse. I started with Wolverine's body. 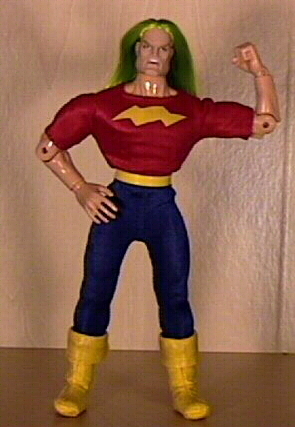 The head is Thor's with green hair. I used a green magic marker to color the hair. The pants also came from Thor. The boots were Capt. America's painted yellow. The shirt I sewed from a scaled up mego pattern. I designed the lightning bolt on a computer, painted some medical tape yellow, and cut it out from the computer design. The tape works great because its already has adhesive on it, and it has a nice cloth texture. The belt was made from a peanut jar top.